New product on the market. 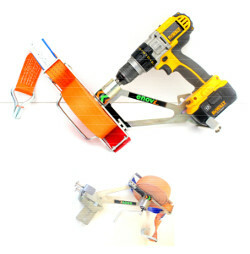 Retracting system for straps to be used with driver or drill. Fits any battery driven driver or drill. In stock for 8, 10, 12 and 14 straps. 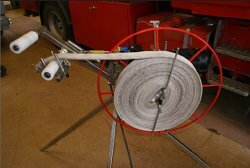 Retracting system for fire hose and snow cannon hose. enovX AB is owned and runned by Tommy and Daniel Åsell, father and son. We develop and manufacture user friendly retracting systems for commercial traffic, fire departments, ski resorts and also private persons. 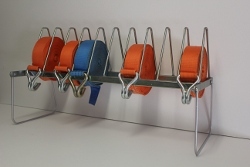 Rollex x2 and x4, our first products, are automatic retracting systems for straps that help you retracting the straps, organize your equipment, giving you a safer way to secure your cargo and a more reasonable work environment. 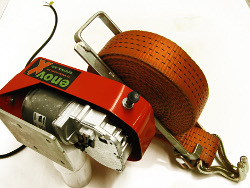 We have been operating a ski resort and a small size haulage contracting firm during the last eleven years where we encountered problems with straps and hoses. The products are created on the basis of our experiences to meet our needs and provide the assistance we needed in our work. In collaboration with Antibox design and Almi företagspartner we have produced user friendly retracting systems of high quality.